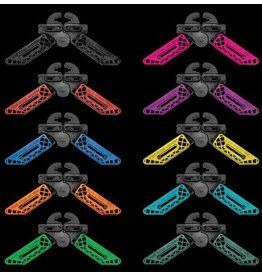 Handy, foldable model for easy storage. 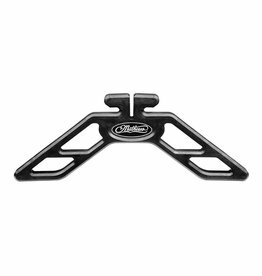 Padded rest provides extra protection to your bow. 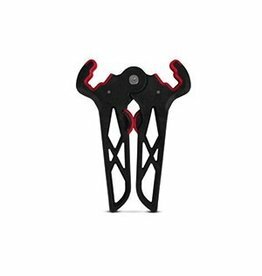 Single screw secures all three legs for fast assembly. 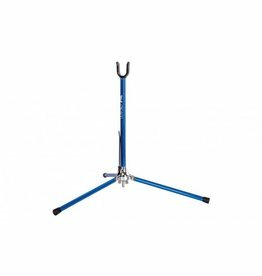 Ground spike for added stability. 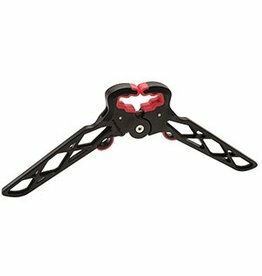 Suitable for recurve and compound. 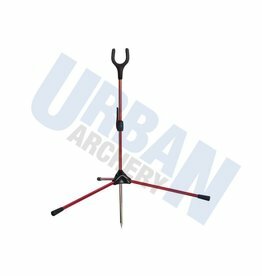 Bow stand that folds and works on wider limbs like the PSE and Mathews Halon bows. 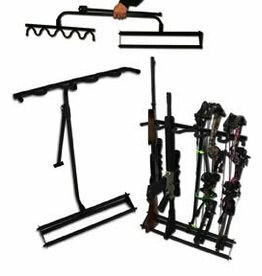 This free-standing unit is durable, yet lightweight, and safely stores up to 5 firearms or bows. 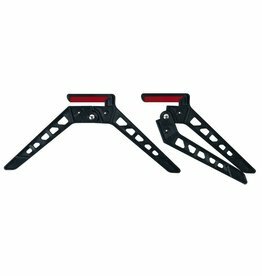 A great asset for the use at the range, at camp, or at home. 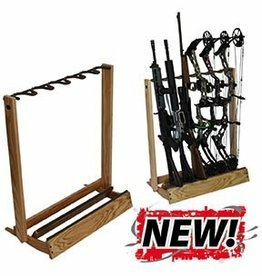 Prevents weapons from being laid on the ground. 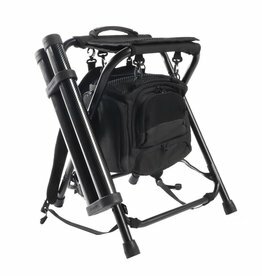 -Portable unit for transport! 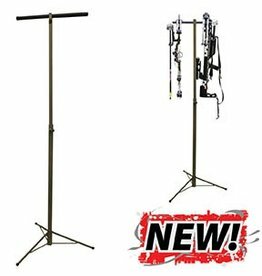 This free-standing unit is durable, yet light-weight & safely stores up to 6 firearms or compound bows. Padded surfaces provide safe storage. Real hardwood looks great at home or on the indoor range. 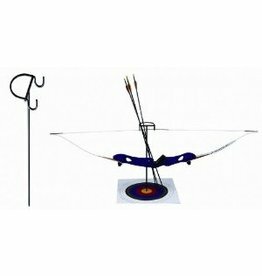 Conveniently holds your bows while practicing on the indoor range. Sturdy steel construction with durable powder coat finish & protective padding. Includes indoor base, complete with protective caps.